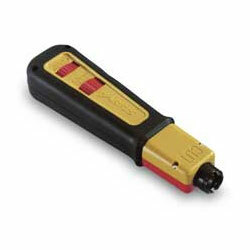 The D914S Impact Tool provides better comfort and performance through a new ergonomic design. A soft rubber handle and rounded edges provide a better grip to reduce hand fatigue, especially while performing numerous wire terminations. It has all the same great features as the industry standard Harris D914 Impact Tool, works with all Harris industry standard blades.